Seems that a lot of time is spent discussing carry options for knives. Little time is spent discussing deployment options. All deployment options are carry options but not all carry options are deployment options. 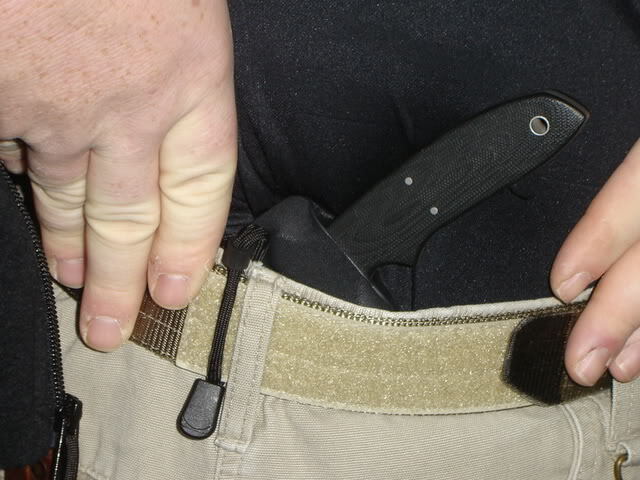 Carry option: method of carrying a knife so that it is secured in a sheath and accessible. Various levels of security depending on the need of the user. 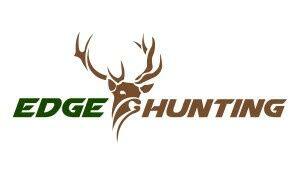 If you are carrying a fixed blade for say hunting, chances are your knife will not be needed as a primary weapon. 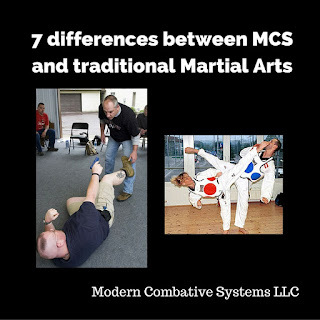 Most common and traditionally encountered method is the strong side hip carry, edge to the rear. Most of the time it will be a leather or even kydex sheath with a thumb break. The sheath may have what seems to be a lot of extra material and is very heavy duty since concealment is not an issue. Deployment options: the point of all this. Deployment options are ways to carry your blade so that it is fast to deploy. Most of the time this means that your blade is your primary weapon. Since the knife is your primary weapon it is imperative that first and for most that your carry method be comfortable or you may choose to leave it at home. Comfort has a lot to do with your body type and normal activities. I have a short torso so a traditional strong side IWB is out of the question for me. Not to mention that I spend a lot of time behind the wheel of a car. After comfort I would consider concealability next. When I think about concealability I go by the least amount of clothing I typically wear as a standard. For that means a t-shirt. If I can conceal it under a t-shirt then I will be even easier with a vest or jacket. This allows me to carry the same way 90% of the time. Again this depends on body type but even more on what and how you are carrying your knife. Most kydex sheathes come with Tek-Locks. While an excellent way to attach to tactical gear I am not a fan of these for CCW. They have a tendency to place the knife far away from the body creating two problems. One is printing through concealment garments and the other is creating snags. When the sheath sits away from your body it has a habit of hitting corners and catching on chairs when you sit down. Now that we have been able to carry our blade comfortably and conceal it with our choice of carry option let's talk about reliability. - Reach the knife with both hands from just about any position we can imagine ourselves in. Standing, sitting in car, on our back, face down, crouching etc. - Does reaching for the knife force us to put a hand behind our back taking a hand way out of the area it should be in protecting from groin to neck. How much space would we need to have to draw something from behind our backs? - Does the sheath that it is carried in allow you to get a useable grip while it is in the sheath? Or do you have to pop a thumb break then readjust. - Can you get a cut on the draw stroke without coming to the outside or up this telegraphing your move? When I first began to think about these things, I found plenty of carry options that were exceptional in comfortably and conceivability but the deployment was nowhere need what I wanted. The first carry option that passed the deployment test was the Tactical Tether. The Tactical Tether allows you to use any kydex sheaths with eyelets. The Tactical Tether is first attacked to your sheath and then to your belt. The sheath is just shoved down at a 45-degree angle so it almost lies horizontal to the waistband. The primary draw stroke and the knife exits the sheath is from low left to high right allowing you to get a clearing cut to move an attacker off of you. under eye level. 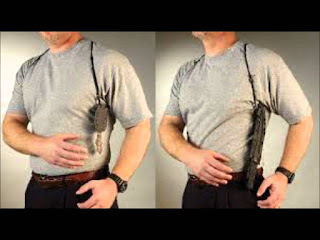 Since the sheath is not affixed to a belt it allows it to move with you to some extent. It also lessens the chances of you stabbing yourself during resheathing since the sheath is hanging outside your pants. The second option is the mercharness.. For carrying a fixed blade for CCW I can't imagine anything better that works in more conditions and with more body types. The problem with fixed blades is that they have a tendency to poke and prod the body in different positions due to their length. This encourages people to either carry very short blades or stick to folders. Unlike neck knives, a knife on a mercharness does no swing around or disappear if you are on your back or your knees. Having a great knife that you carry every day for CCW and not having a deployment option for may be like having the anti-venom for snakebite but not having the combination to the case that it is in.